Creating Australia's Finest Alkaline Drinking Water. The Alkafill station is designed to purify and alkalise virtually any water anywhere. 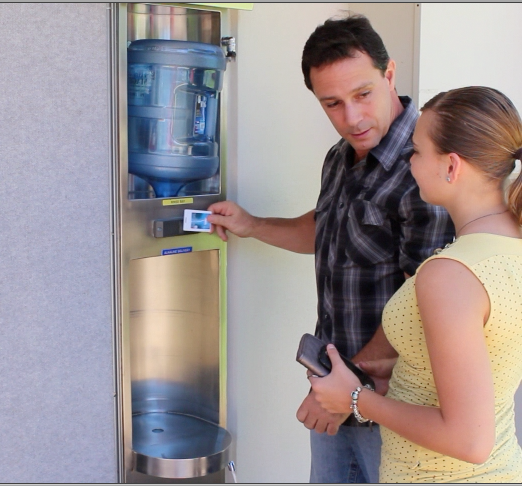 Water filling stations are open to the public (in most locations) 24 hours a day, and are placed in various locations for your conveinience. Filling your bottle is as simple as swiping your access card or key tag, pressing a button and 2 minutes later the bottle is full and you can be on your way again. There are 5 filter stages to the Alkafill filtration system that remove the contaminants typically found in water. In the first two stages the water passes through sediment and carbon filters and then reverse-osmosis to completely purify the water. This extensive filtration removes up to 99.8% of the fluoride, chlorine, aluminium and other heavy metals the dirt, chemicals, bacteria, dissolved solids and pesticides. 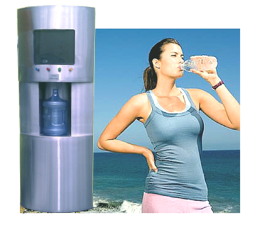 The ultra-purified water is then reminralised with minirals such as magnesium, calcium and potassium. Our process enables the water to be ionised, alkalised and micro-clustered. We then finish the water through the final filtration stages with silver carbon and UV light sterilisation. We beleive there is no bottled water at any price than can match the purity and freshness of the Alkafill water station. 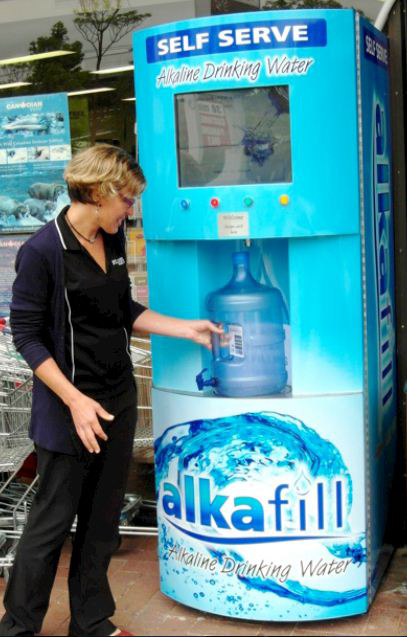 At an Alkafill Water Station you can fill your own bottles fresh usually for much better value than supermarket water. "Alkaline water produced by a water ionizer has become the most important advancement in health care since Sir Alexander Fleming's discovery of penicillin"
Dr William Kelly, College of Metabolic Medicine and author of "Cancer Cure"
High Colloidal Minerals: The ionization converts the minerals in the water into an ionic or colloidal form, considered the best bio-active form. Every OH- ion will be bonded with an ionic mineral like calcium. Each glass of alkaline water has many billions of these life enhancing molecules. Remember, just dissolving calcium in water and drinking does not mean that your body will assimilate the calcium - your body can only assimilate minerals that are in ionic form. High Bio-Energy: this is indicated by devices that measure the electric frequency of substances. Alkaline water is alive, charged, life-enhancing as opposed to tap water or stored bottled water, which is dead. "To maintain or restore your body's natural pH balance for optimal health, drink restructured, ionized water which is rich in anti-oxidants and alkaline minerals. Ionized water helps reverse the effects of acid accumulation in the body, the root cause of degenerative diseases and aging." 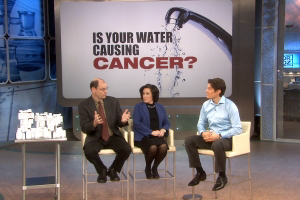 One glass of Ionized water can hydrate your body better than gallons of any other water. 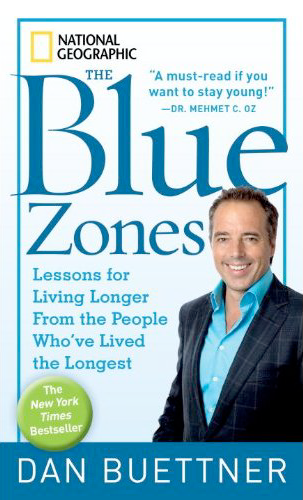 Ionized water alkalizes your body better than the only other method (eating a 100% organic and raw vegetarian diet). Ionized water removes damaging free-radicals from your body more efficiently than consuming bottles of vitamin C! Ionized water oxygenates your body more effectively than any other ‘oxygen’ therapy. Copyright © 2013 Alkafill Pty Ltd.